*1. Clean the quince the way you would an apple, peeling and removing the seeds. Cut into small chunks and put into a bowl of water. Quince will turn dark if not covered with water. Drain and transfer to a pot with water just to the top of the quince. Cover and bring to a boil over high heat. Boil for 30 minutes, turn off heat, and leave the pot on the stove for 30 minutes. *3. Place fruit in the food processor bowl with 4 tablespoons of water and pulp for 8 seconds. The consistency should be similar to chunky applesauce. Transfer to a large saucepan, add sugar and 1 cup of water, and bring to a boil over medium heat, stirring continuously with a wooden spoon to prevent sticking and browning. Reduce heat and simmer for 30 to 40 minutes, stirring frequently, until the jam melds, excess liquid cooks off, and the jam drops from a spoon in chunks. *4. Add lemon juice, stir for 5 minutes, and remove from heat. 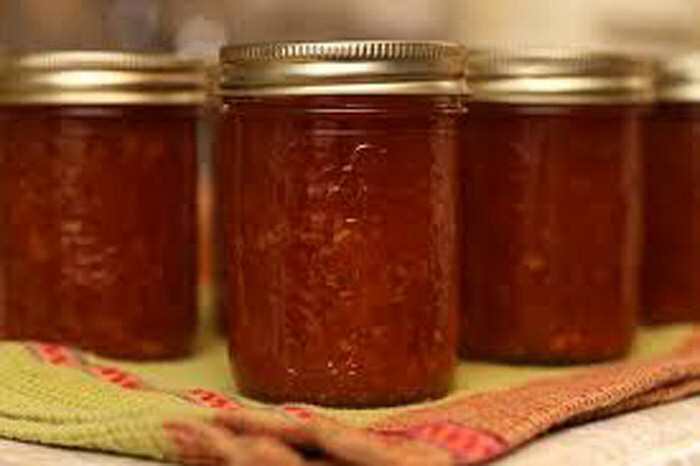 Allow to cool for 30 minutes, then transfer to jars with airtight lids. When the jam has cooled completely, seal the jars. The jam can be stored for up to a year and the colour of the jam will darken over time to varying shades of red.